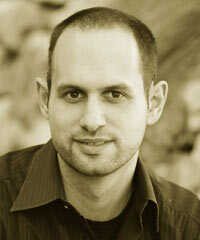 Jonah Sachs is an internationally recognized storyteller, author, designer, and entrepreneur. As the cofounder and CEO of Free Range, Sachs has helped hundreds of social brands and causes break through the media din with campaigns built on sound storytelling strategies. His work on legendary viral videos like “The Meatrix” and “The Story of Stuff” series has brought key social issues to the attention of more than 60 million viewers, and his interactive work has been honored with Best Of awards three times at the standard-setting South by Southwest (SXSW) Interactive festival. Released in July 2012 by Harvard Business Review Press, his book Story Wars calls on case studies from his own body of work and some of the most successful brands of all time to show how values-driven stories will not only revolutionize marketing, but represent humanity’s greatest hope for the future.